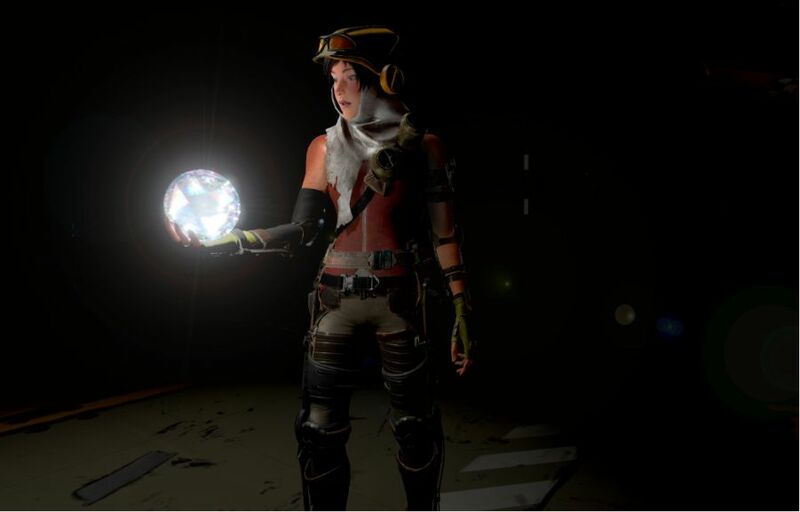 Announced last year during E3 2015, ReCore is one of the more interesting titles coming to the Xbox platform this year. 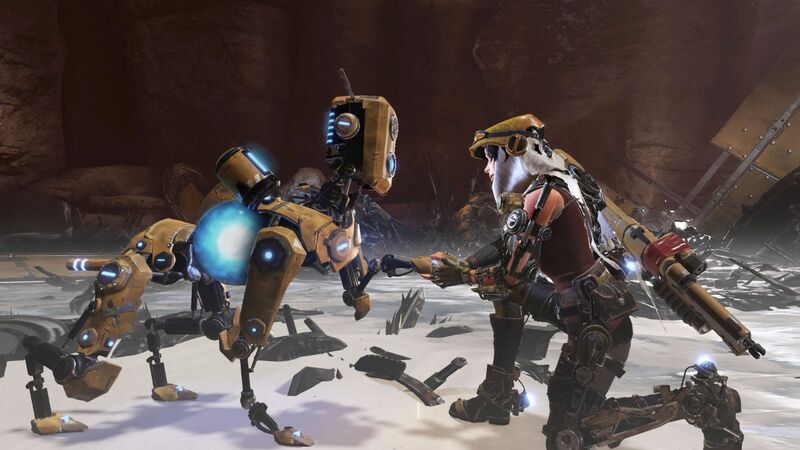 The product of a partnership between Microsoft Studios, Armature Studio (with studio head Mark Pacini directing the game), and Keiji Inafune’s studio Comcept, ReCore stands as one of the higher profile games on display this year at E3, and certainly the most interesting collaboration between Japanese and American studios. 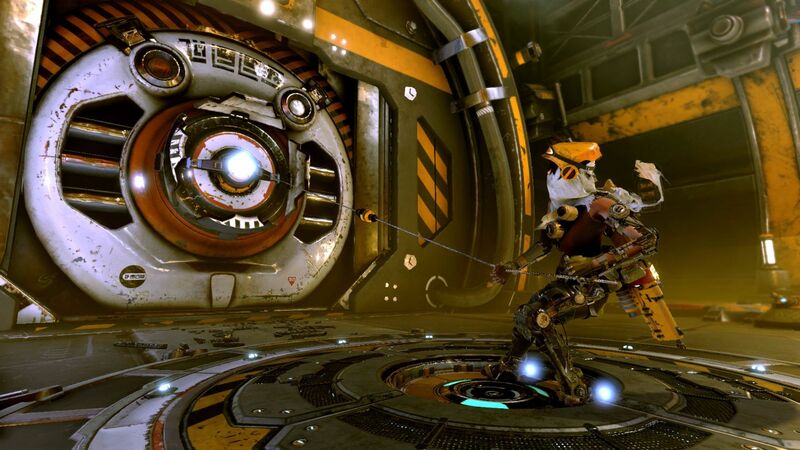 But the humble beginnings of ReCore begin before Microsoft was introduced to the project. 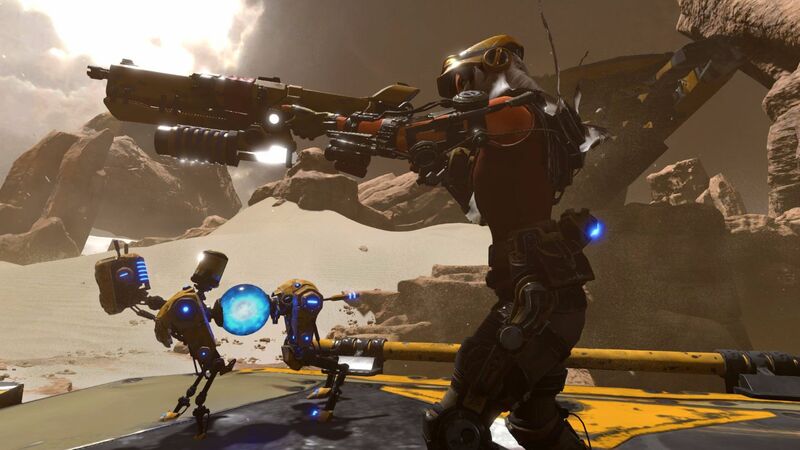 Having struck up a working relationship years ago, the idea for ReCore surfaced after the formation of Inafune’s Comcept, a development house based out of both Tokyo and Osaka, which is primarily known for its work on Mighty No. 9 and the Soul Sacrifice series. 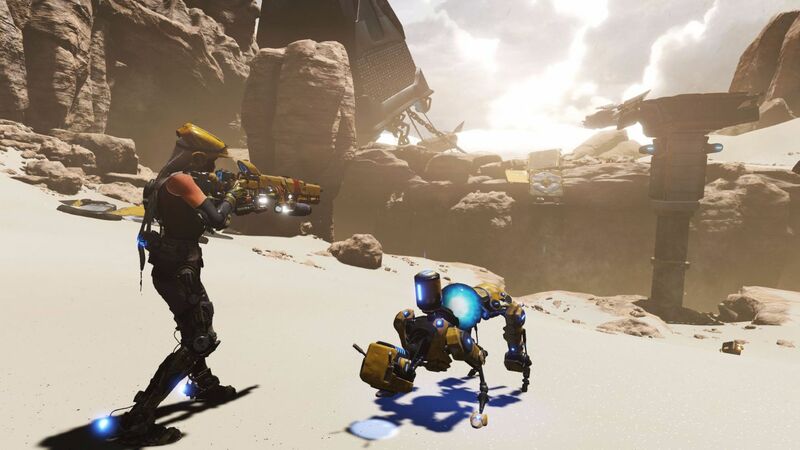 With Comcept (through Inafune) bringing years of platforming experience, and the flash and solid combat from Pacini and Armature, the art and combat of ReCore began to take shape, and with the game’s world and gameplay hammered out, the teams took it to Microsoft. Of course, changes in the game’s design and visuals occurred along the way. The many robots, for example, started out small and cute, with their overall design aiming towards a friendlier feeling. Over time, and through the collaboration between the two studios, the robots took on a more animalistic nature, as is apparent by one of the game’s main characters; a robotic dog named Mac. From here, the idea of the robot’s central processor and AI being stored in a sphere took form, with the essence of each robot being held in cores. 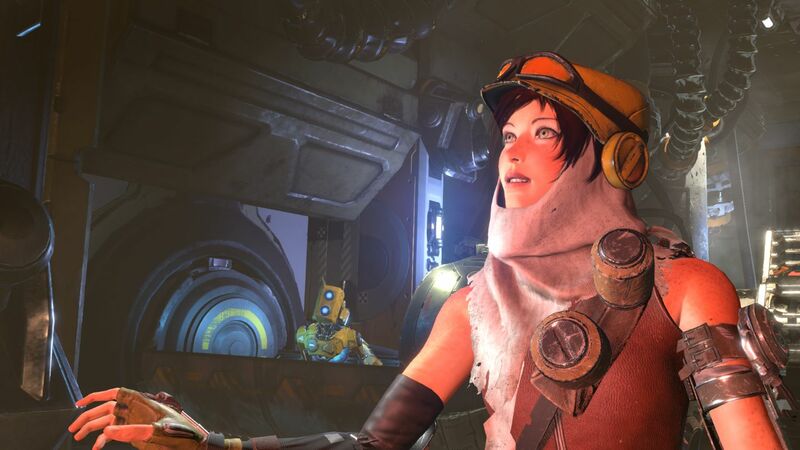 As explained to us by both Pacini and Inafune during a developer walkthrough, ReCore takes place in a post-apocalyptic future, where Earth’s future remains uncertain, and a terraforming project is being conducted on distant planets, in order to create a hospitable world for humanity. Joule, the game’s protagonist, is part of a terraforming project that is underway on a planet called Far Eden. After awaking from cryosleep, she finds that the other humans that were part of the project are missing, and that most of the robots and machines brought to Far Eden have gone rampant, and now view Joule as a hostile threat. As you might have guessed, Joule’s one uncorrupted companion comes in the form of Mac, her trusty robotic partner. Together, they try to piece together what happened on the planet, while trying to steer clear of the corrupted robots that inhabit the area. While we didn’t get to find out his identity, a narrator is present as well, filling in some of the backstory on Far Eden, the past and Joule herself (we were told his identity is explained not too far into the game). While shooting and eliminating enemy robots is a main component here, Pacini explained to us that the team decide to focus more on platforming and well-timed movement. To facilitate this, an auto-aim system is enabled, which helps cut down on the manual aiming that most other shooters derive much of their challenge from. Instead, dodging and weaving around enemies takes a far more important role. The terraforming staff on Far Eden are outfitted with exosuits, allowing Joule to double jump and dash from the game’s outset; a valuable tool for staying nimble and quick. The actual minute-to-minute gunplay still has some variety and challenge, which mostly stems from a color/polarity mechanic, not unlike the one featured in the arcade classic Ikaruga. Enemies’ cores are usually colored red and blue, though they will switch up their core color during fights. By choosing certain shot and ammo types, Joule can also change her shot color to match the enemy, with the goal being to shoot enemies with their own color (blue to blue, red to red). Doing this results in a damage boost, which helps to take down enemies more quickly. Taking out enemies accurately and in succession also helps build a combo meter. Reaching a high enough combo multiplier allows Joule to take out an enemy by removing their CPU core, with a tool she wields called ‘the extractor.’ Some enemies, however, are comprised of a prismatic core, which has no color, essentially rendering it neutral. These enemies can also regenerate health, meaning they must be taken down via extracting their core. Enemies like these can be a little tougher, and the one instance we saw came in the form of a boss called Iron Fang. Granted, Joule receives help during combat from Mac, who has abilities of its (his?) own, such as dealing devastating attacks to enemies who are of a certain core color. While various resource systems and the ability to upgrade both Joule and Mac teased, we have yet to see all that ReCore has to offer. It’s mix of platforming, exploration and shooting demands attention in a world full of visceral combat and big explosions, and its release on September 13 means we won’t have to wait much longer to take it for a spin.